It’s true. Nashville is a place that will get in your blood and stay forever. One of my dear friends from Nashville, Elsa was getting married this summer so I was over the moon when the dates worked out for me to attend. I decided to come in a few days earlier and give a quick update to my Rotary Club of Green Hills about how my experience in Australia has been so far. I am still on the newsletter for a few of my favorite institutions in Nashville and both The Frist Center for the Visual Arts and Cheekwood had exhibitions that I really wanted to see. 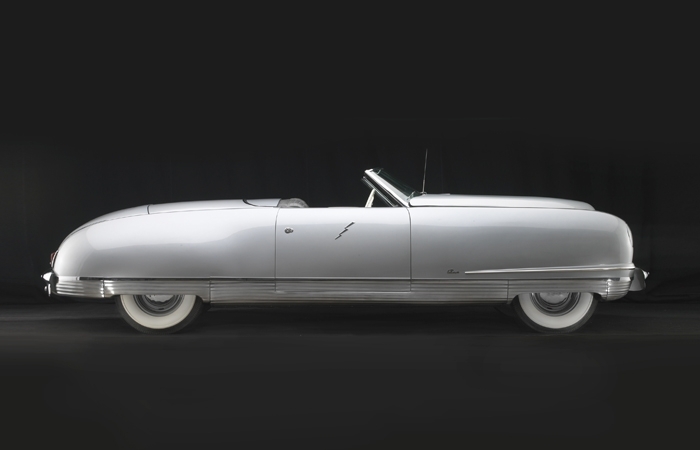 Now through September 15, 2013, Sensuous Steel: Art Deco Automobiles Exhibition features some of the most renowned car collections in the States. 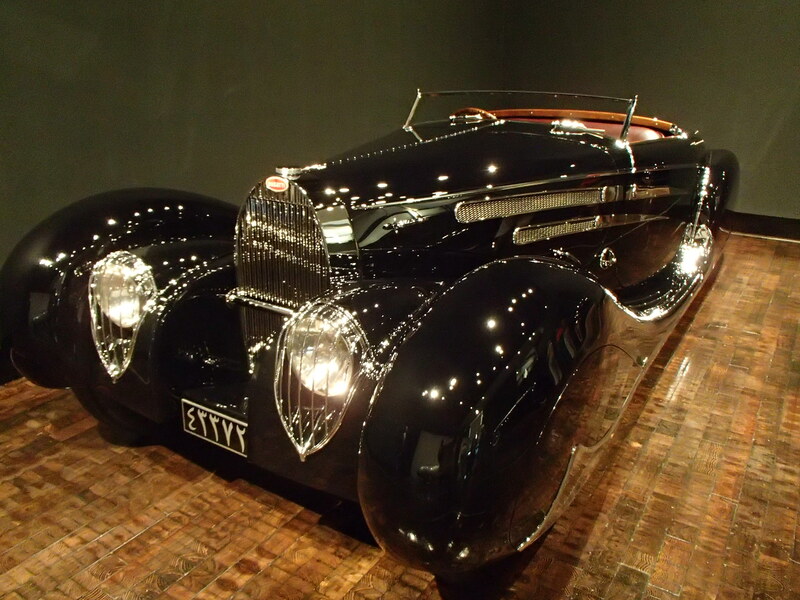 If you love cars or curious about art deco, don’t delay and plan a trip now! It just so happens that the Frist Center’s building is art deco and the exhibition features automobiles and motorcycles from the 1930s and 40s’ that ooze classic elegance, luxury, and futuristic/innovative ideas and tests for automobiles. My awesome roommate, Jeff and I spent hours admiring every single piece of the collection and the influence they have in cars we see on the streets today. The Tatra and Scarab definitely look like they were proto-types for the VW Bug. Our tour guide was awesome and gave us so many backstories about each one. As we were ending the exhibit, he said that he felt like a used car salesman but boy did he have a great deal for us. He showed us the 1941 Chrysler Thunderbolt which looks the same from the front as the back. The owner purchased the vehicle for $40,000 USD and has invested about $750,000 USD to restore the vehicle and it could be ours for only $2,000,000 USD. We tried to do a few of my favorite things in Nashville which meant eating chicken on a stick at Bolton’s Spicy Chicken and Fish and a cookies and avocado popsicle at Las Paletas Gourmet Popsicles, drinks in 12th South, and quality time with friends. My lovely friends organized a few dinners so that I could see as many people as possible. I had a girls night (with David) at blvd Nashville which was a new restaurant on Belmont Blvd. They serve a delicious bread basket that comes with a pretzel and waffle. My former roomies, Jeff and Jake planned a reunion of our supper club that happened when I lived there. Let’s just say the room was filled with so much love and an amazing home cooked meal: pork roast with chipotle and honey, polenta, black bean and corn salsa, and salad. Then for dessert, we had chocolate pie and my favorite, pecan pie! 🙂 I have to brag on Jeff because I didn’t know until after the fact that he stayed in town an extra day just so we could spend time together. He had a huge job out-of-town and I couldn’t believe that he stayed in town for little ole me. I promise you that my roomies in Nashville became my family and I couldn’t be more blessed with such caring, thoughtful, and wonderful roommates. My last dinner was catered my King Market which cooks authentic Thai and Laotian cuisine. My friend Aaron who usually cooks up an amazing meal has been overloaded with work so we were thankful that he made time for a little gathering. I had an early morning the next day but a few of my girls wanted to see me before I left so we went for a little last-minute karaoke at a place called the Wild Beaver Saloon. Yeah, I know and the best part I learned was that it is a chain! My beautiful flowers! 🙂 Someone knows how to put a big smile on my face. Loved dinner! So fresh and delish. We were so excited to see each other we forgot to take photos until after dinner. We met Big Pappa at the Wild Beaver. On my last day in Nashville, I spoke at my Rotary club and they were very happy to hear that my time had been going well and couldn’t wait for my big presentation when I finish my Masters in Governance and Public Policy program and return to Nashville. My wonderful friend Andrea took the day off to spend time with me and help me get ready for Elsa’s wedding. 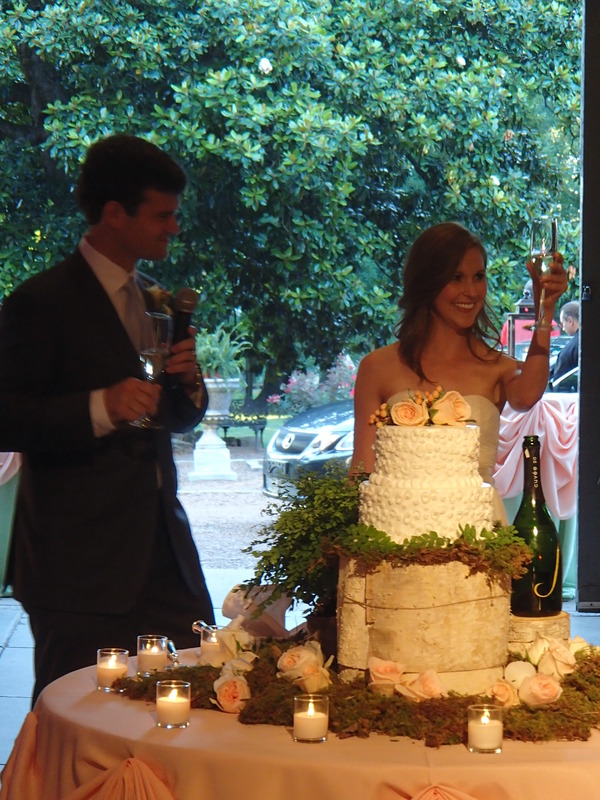 Elsa and Jim were married at Belle Meade Plantation and her wedding was just classy and elegant, like her! It was wonderful to see them begin this new chapter together especially since I was there the first day they met! I was so happy to see her family and our friends. The food was served at four dinner stations. The Salad Station, Southern Biscuits and More Station, Beef Station, and Shrimp and Grits Station. The shrimp and grits were served in martini glasses and one of the best shrimp and grits I have had. They had a wedding cake but also a dessert bar with chocolate truffles, key lime tart, and white chocolate banana pudding. The white chocolate banana pudding was the best. Unfortunately, I had to leave the wedding early in order to make it back to Arkansas for my high school reunion! I made sure to stay and watch Jim and Elsa’s first dance as well as Elsa and her Dad dance. The best part of it is that the Holzen’s are a very musical family and her brother and sister, Hans and Natalie, performed all the songs during these special dances. Hans is a fantastic singer and guitarist and Natalie is an amazing violinist. This is SO Nashville and the thing I love so much about this town. Congratulations Elsa and Jim! Have a blast in Greece for your honeymoon. Your visit was too short! Nashville misses you so much! All I have to say about those pictures – WOW. 🙂 What a fun night! So glad I got some quality time with you! Couldn’t agree more. I needed more time in Nashville. We’ll never forget meeting Big Pappa at the Wild Beaver. haha. Can’t wait until our next get together. You coming to visit me, right?